Like most new authors I imagine, I go a little bit crazy towards the end of the day. I diligently start checking each of my channels, not just for sales reports but also for reviews! It’s almost becoming a little routine. That little check before bed to see if someone has said something nice about the years, months and hours of work you’ve offered up to the world. If they have, my reaction tends to be a strange dance that suggests I’ve been shot in the leg, followed by several screeches of excitement and a scurry across the room to fetch my phone to share said review on social media. I haven’t had a bad one yet, but odds are it might get exactly the same reaction. I happened across my latest review on GoodReads yesterday and got excited for two very different reasons. Firstly, it was from somebody on a different continent to me, and secondly, they had nicknamed the heroine in my story Catherine, Kat. I was genuinely touched that a reader had felt so close to the character they had adopted a nickname for her that wasn’t used in the book! 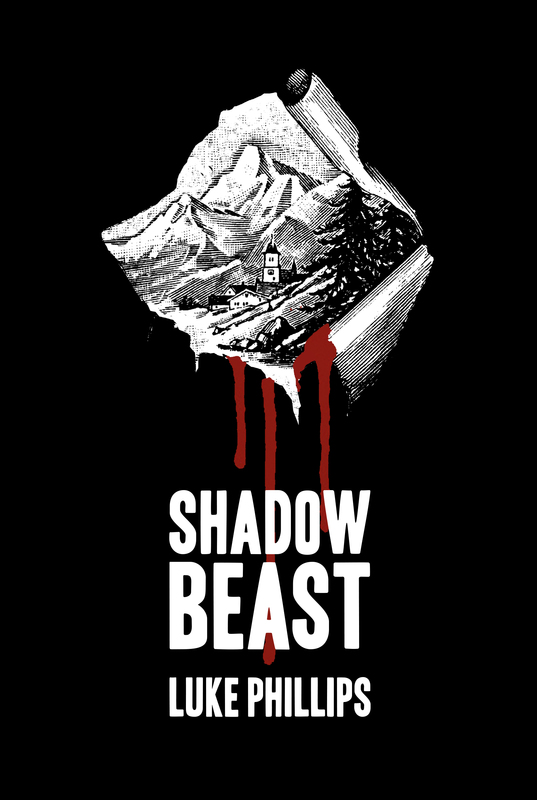 I spent a lot of time developing three main characters in Shadow Beast, namely Thomas, Catherine and Fairbanks. These three came under the microscope the most, well other than the elusive creature itself, who didn’t get a profile but lots of notes on behavior and temperament! I used very detailed questionnaires and profiles to build a picture of them in my head. I also cast them as actors, as if I were making a film. That helped give me an idea of what they looked like, as well as who they were. I’m not going to tell you who I had in mind when I created Catherine for the same reason I haven’t included a picture of some random redhead here as a reference – I want you to meet her for yourself so you can form your own idea. But I will tell you a little bit about her. Firstly, it was important to me that she wasn’t just a scream-queen. She needed to be an equal to Thomas, certainly as strong-willed and as strong-minded if she was going to stand up to swap insults and arguments with him. She had to be sharp and intelligent. She is a self-made woman who has fought through a lot in life, from bad treatment at the hands of her employers to being used by a callous colleague in an ill-fated affair. She’s tough, firm, kind and downright lovely. Shaping her helped shape the story too. At first, I had her driving a beaten up Alfa Romeo estate car, simply because I like Alfas. But it soon became clear that the practical nature of her work and who she was suited something a bit more robust, so she was upgraded to a truck with four-wheel drive. At the same time, realising she was young and single in a small village made it obvious that she would be friends with another character in similar circumstances. Making them friends helped change the emotive feel of a key chapter in the book to something far more dramatic and gripping. And yeah, she’s just a little bit gorgeous too. Red hair and green eyes. Sigh. Even in real life its pretty much my kryptonite. But that was important too. I had to really feel something for Catherine if I was going to get the emotion, passion and intrigue I wanted into the story. And going on my latest review at least, it seems to have worked. And remember, if you do take a chance on an independently published book and enjoy it, the best way you can say thank you to the author is to leave a review on Amazon, GoodReads and so forth to help share and spread the joy. It really does tickle us to know our stories are being read and liked!